"How to invent a new trick"
When someone has forty-five years of success in a field, getting first-hand advice and knowledge form this expert for less than 20 dollars seems like a tremendous bargain. This is the case in Pavel's latest release, Magical Creation. Pavel presents his ideas in three sections. Part ONE gives a brief outline of magic theory, detailing the basic effects and principles of magic, along with a summary of elementary props. In Part TWO, the author reviews some of the great inventors and the most outstanding inventions in magic during the last century. Finally, in Part THREE, the moment we've all waiting for - Pavel's secret! He outlines his approach to inventing magic effects, giving examples of desired effects and their solutions. 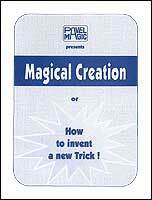 Highly recommended for those who want to improve existing tricks or create original effects. The booklet is sold out. Get a CD it in a practical PDF format. 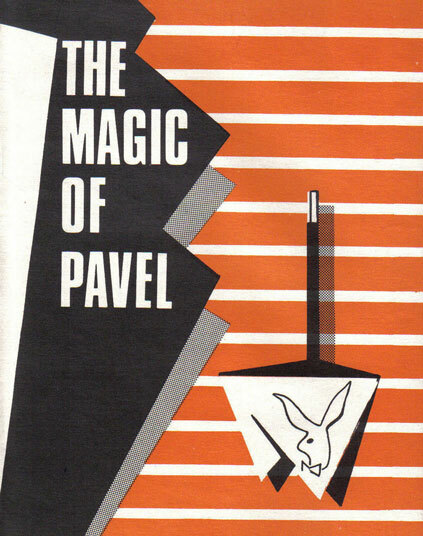 Peter nicely characterizes Pavel's magic when he writes: "The beauty of Pavel's magic lies in its simplicity of plot and the simplicity of means to attain the necessary end". by Pavel can be found in his work "How to invent a new trick". TAKE YOUR CHOICE! MAGIC FOR YOU! A collection of some 40 tricks using silks, ropes, cards, bottles and other objects, plus the creative novice's philosophy regarding the magical innovation. The book is sold out. Get it in a practical PDF format.